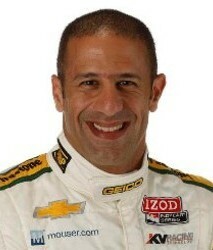 IZOD IndyCar Series star Tony Kanaan takes over the helm as the latest Online Driving Instructor for SAFEisFAST.com. Here is your chance to receive advice from one of auto racing’s greatest ambassadors, who has been competing at the top levels for over 14 years. Kanaan’s answers will be posted daily beginning February 11. IZOD IndyCar Series star and fan favorite Tony Kanaan shares a commonality with our previous Online Instructor, Joey Hand, in that he, too, overcame humble beginnings to reach the pinnacle of his profession. Originally from Salvador, Brazil, Kanaan began karting at age 8 and almost immediately marked himself as a potential star of the future. After winning six championships – often trading duties as a mechanic and driver coach to pay for seat time – Kanaan graduated into Formula Ford and then Formula Chevrolet in his native Brazil before setting his sights on Europe. He settled in Italy (despite barely speaking the language) and frequently slept in the team’s race shop as he moved up through the Formula Opel Euroseries to the Italian Formula Alfa-Boxer Championship, which he won in 1994, and then Formula 3. His big break came in 1996, when he won a shootout to join Steve Horne’s Tasman Motorsports Group team in the Firestone Indy Lights Championship. Kanaan finished second in his rookie season, won the title one year later and then graduated to the top level in 1998, again scooping Rookie of the Year honors. Since then he has competed in 257 INDYCAR-level races, winning 15 times and claiming 15 poles. He won the IZOD IndyCar Series championship in 2004, for Andretti Green Racing, and in 2013 will remain with KV Racing Technology for the third successive year. Kanaan won the LMP2 class in his sports car debut at the 2007 Twelve Hours of Sebring, and last weekend contested his second Rolex 24 GRAND-AM race at Daytona. 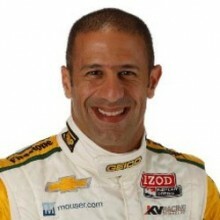 Tony Kanaan answers your questions! Tony, my son will be graduating out of karts in the near future. Unlike a lot of drivers, his sights on set on sports cars. What path would you recommend to a young driver whose dream is to win Le Mans? Thank you for your time. My family are huge fans of yours! Cindy, that’s cool that your son has his eyes on sports cars. I believe that SCCA will be your best reference in order to get him into sports cars, and the ladder is no different than for open-wheel guys. He will have to start with the feeder series and work his way up to GRAND-AM, which recently announced the merger with ALMS here in the U.S. Good luck! Tony, thanks so much for taking the time to answer questions. I am just curious, did you feel like you entered the season with any particular mind-set the year when you won the IndyCar championship? What was the key to coming out on top? To be honest with you, no. I knew I was coming off a good season (2003) and that we had a very good group of people and also the best equipment available, but the competition in IndyCar is always tough, so you have to work hard to earn it. I’m currently a college student who’s paying expensive tuition. It’s difficult for me to get involved in racing because it’s so expensive, but I still haven’t lost heart for becoming a professional race driver some day. So if you were in my shoes, how would you begin a racing career? Michael, you’ve got to start with go-karts. That’s where the magic begins. Tony, Oi – Tudo Bom? E Muito Legal eu escrevendo voce!!! Eu falo muito mal lol. My wife is a Brasileira de Manaus but we spend time in São Paulo cidade. I have been rooting for you ever since your early CART days. Para Bems agora piloto!!! My question is about karting. I have been many times to Kartodromo Granja Viana and Aldeia da Serra. Very cool tracks. I only rent the 13hp simple ones (one day I will rent a shifter kart). I run pretty fast for a 200lb guy keeping up with the younger/lighter Brasileiros. But I really want tips on getting those things slowed down and turned. The rear-only brakes stink and the tires seem to be a really hard compound. I try to warm them up as much as possible. I realize that momentum is the key but you have to stay on the track. What do you suggest? Greg, I’m glad you enjoy racing at my hometown go-kart tracks. You already know the answer for this one – with the slower 13hp go-karts, you have to keep the momentum going, man! In America, there are several common ladders for a driver to climb through the echelon of motorsports. For IndyCars, it begins with karting, USF2000, Pro Mazda, and Indy Lights. Aspiring NASCAR drivers have their own racing ladders to climb, too. My question to you is, in your own experience and what you’ve seen in others, is it absolutely necessary to follow the “beaten old path” that everyone seems to take in their quest of becoming a pro driver? Does having an eclectic racing resume somewhat like yours give an aspiring driver better odds or opportunities of standing out with sponsors and race teams in their pursuit of reaching the big leagues? Does it benefit or harm them as they work their way up? Owen, I believe it’s not absolutely necessary but the chances are much higher of succeeding if you do one step at a time. It’s not only about the experience you are going to gain on track, but also what you will learn when you are outside of the car during each step of your career that will shape you into a professional driver and also help you with the image that sponsors will have from you. Tony, in looking back over your successful career, is there any thing you would have done differently in reflection? Thanks. Jack, I don’t think so. I left Brazil when I was basically a kid and went to Italy because I wanted to be in F1. I did my best there and although I didn’t get to F1, my effort during my years in Europe gave me the opportunity to come to the U.S. and be successful at what I do. Never give up. First of all, I am a huge fan, Tony, and appreciate you taking the time to answer our questions. Do you have any tips on finding those extra tenths? Thank you! Practice, practice and practice. Then practice some more. Hi Tony! How does a young driver get his name out there and get teams to start noticing him? Mikey, there is no magic formula. You gotta start winning races to be noticed. Tony, thank you so much for taking the time to share your advice! I am the father of a karter who will be graduating to cars in a year or so. My question to you is how valuable was your time racing in Europe prior to coming to America? My son has his sights on open-wheel and the Indy 500 and I am trying to lay out the best route for him to take and wonder if a few years in Europe would be a good direction. Thanks! PS – you are his racing hero!! Mark, I went to Europe when I was moving up the ranks because back then it was the path that we were used to taking from Brazil. It was very valuable for sure, but I don’t think that nowadays your kid will be missing anything if he stays here in the U.S. INDYCAR put a lot of thought and work into the “Road to Indy” program and I believe it’s a very good option for kids coming out of go-karts. Hi Tony, I have seen “heel/toe” driving explained about a dozen different ways. Do you have a way to teach it that is easy to understand? Tony, congratulations on a long and successful career and all the best for this year with KV Racing. Do you have any advice on the mental side of racing? How do you get in the zone? Actually I work on the mental side of things doing other sports – in my case triathlon. In racing you need to learn how to deal with patience and anxiety, otherwise your race won’t go past Turn One. Being patient is key. Normally I try to take one hour prior to the race to relax and settle down in my RV or the team’s transporter. How do you deal with drivers that race dirty on the track and try to play mind games with you in order to force you into submission? I just don’t play others’ games. It’s simple. I’ll give people a fair amount of space to pass, but only if they’re fast enough to do it. Mr. Kanaan, I first want to say that you are an inspiration to young drivers that don’t have a money tree in their backyard. You proved you can do it on talent! My question to you is a common one to many of the Online Instructors, but I would appreciate your hearing your answer – what is the best piece of advice you would give a young driver? Be persistent and never give up! What do you typically do to practice in the off-season and how do you prepare for the days before the races? Thanks, Tony! I do a lot of physical conditioning and also some go-karting. Question: What does it take to be able to compete in both sports car racing and open-wheel racing? Was it ever difficult for you to transition back and forth? It takes a lot of time! A race car driver will be able to do both of them. They are completely different beasts, but with time to adapt, any professional driver can do it. Hi Mr. Kanaan, do you recommend that drivers have a manager and, if so, at what stage in their career? Thank you!! I believe that in the beginning yes, you should have one. I’d suggest finding an ex-race car driver, someone that knows the business well and will help you with getting up there. Once you make it to the big leagues, I think that the need is not as big as in the beginning. Hi Mr. Kanaan, do you have any tips on oval racing for someone who will be doing his first oval race? Thank you. Yes, respect is the word. It’s a steep learning curve and you have to take it one step at a time. Good luck! I’d like to know how karting is incorporated into your training regiment. Is it most applicable to open-wheel drivers as a training tool, or do you see sports car drivers using this as well? Could you please tell us a little bit about your use of karts these days including what type you drive, frequency, track type, open lapping or actual competition? Also, what are you focusing on or targeting for improvement with a kart? Thanks so much and best of luck this season. Yep, go-karting is a big training tool. I go to the track just to do some laps. We can’t test a lot in INDYCAR, so I use it to keep my physical condition up. I try to race a bit and I normally go to Homestead, which is close to home. There is no target of improvement for me, it’s just to train. I use TAG go-karts. Hi Tony. My question is regarding setup work you do with your crew before a race. For example, let’s say Indy 500 prep before qualifying and all the way up to Carb Day. From Day One of prep do you find that the car can be configured close to the way you want it just based on default oval chassis measurements or does it take many sessions of track testing to dial in with each iteration getting you closer to ideal? Is the suspension even close to ready on that very first test lap or does it take real laps to even get it safe for open throttle trial speeds? And even with that feedback from you to the crew to do things change drastically from one week or day to day just from thermal cycling or moving the car from the transporter to the garage to the track? Could you please explain that trial and error process from your perspective for those of us interested in related work that goes into pre-race prep and specifically on the topic of suspension (vs. engine or other) tuning? Thanks and good luck for a safe and milk-rich season! Cheers. To answer the first part, the setup needs to be close, but it’s never the ideal. You need to dial it up, especially at Indy. Second question: Of course, the car is ready to go on lap one. The cars don’t change from moving it from the transporter to the track and back to the garage, the only difference in the car is that they put tow tires on it. What changes is the track. Third question: There is no margin for error. The car needs to be prepared and you need to trust your crew and engineer to get out there to go as fast as you can, safely. It’s very serious work with an awful amount of work and preparation put into it by dedicated people that accept no mistakes. The attention to detail in this business is very high. Tony, I race FF, and in the last race of the season I had a bad accident. Now I am having issues with confidence and fear. I have been going out on open track days and running around in a kart to try to build my confidence in myself. Any suggestions on this issue? Scott, you’re already doing the right thing. First, try not to think about the accident, or having fear when you get in the car. Once you strap your helmet, it’s you and the car. The best way to get your confidence back is to get out there and race again. The speed will get back sooner than you think. Since very early stage of your career you have always been considered a very fit driver. Do you think the preparation for recent events like the Kona Ironman has added or improved your driving performance? Definitely! Not only physically, but mentally as well. How many hours a week did you put in on a karting track when you where young – in the age 8-12 range? Thank you! Oh, a lot. I almost lived at the track. Five days a week, eight hours a day. But don’t forget you have to go to school as well! Hi Tony, do you recommend the “two-year rule” for drivers moving up the ladder? For example, two years in USF2000, two years in Pro Mazda, etc? Thanks for your time. Yes, for sure. When I was moving up it was always like that; one year to learn, the second year to win. If you win on your first year, great, you can move on. I first must thank you for taking the time to give back to aspiring drivers like myself. 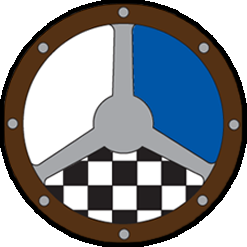 I recently competed in Skip Barber’s Indy Car Academy with my heart set on climbing up the ranks. I was out-performed by participants who had already run the track/had a year or so of past experience. I was hoping you could share with me some techniques you have used to help even the playing field when the “odds” are against you. Thankfully, Michai. Michai, like you said, you’re playing the odds. If you are going against people with more experience you will have to train and test more, if that’s possible, obviously. Also, outside of the car you should do some specific workouts that will help your physical condition to be as fit as you can in the car. Hi Tony, something I have been trying to figure out is the brake-to-throttle transition. I’ve looked at data where drivers taper off the brake, trail-braking, into the corner then get immediately onto the throttle. I’ve also seen some equally quick drivers pause between coming off the brake and getting on the throttle so that all of the tires’ grip can be used to corner. Is one of these techniques ultimately quicker than the other, or does it just depend on the corner, car, tire condition etc.? Thank you very much for answering our questions. Good question. That’s actually driving style. Depending on the car that you’re driving, each technique that you mentioned will apply. So the secret of a good driver is to adapt to different cars and know how to drive each of them. Tony, it is great to receive advice directly from the one of the best in the sport and we appreciate your time. My question to you is on the engineering side. Obviously, the driver-engineer relationship is a crucial component to success. Do you have any advice on what to do and not to do when working with a new engineer? Thanks! Obviously be as precise as you can giving technical feedback, but you should get to know your engineer as well as you can. Creating a personal relationship with your engineer is very important because both of you will need it when you are inside of the car and outside as well. And try to avoid having heated arguments with him during a session – those never help! Hi Mr. Kanaan, I’m a 13-year-old go-kart racer from Ohio. Some people think I am the best in my class but I always finish mid-pack because of my equipment. Do you have any tips so I can finish better but without spending too much money? Thanks. Hey Emerson, good luck moving up the ranks. I was in your exact position once upon a time, and understand that there is not a whole lot to do other than to keep your focus during the race and try to use your equipment as wisely as you can. Hopefully, someone will realize your potential and start helping you with some sponsorship that will allow you to buy better equipment.